The Patterns & Traits working group is addressing a variety of questions to understand the global, regional, neighborhood, and local-scale processes that drive biodiversity in urban landscapes. They are currently focusing on the following question: Does the urban context (of a site) influence the functional traits of multiple taxonomic assemblages in consistent ways? To address this question we are conducting a global analysis on a collection of spatially explicit datasets for amphibians, bats, bees, carabid beetles, butterflies, birds, mammals and plants, but may also include additional groups if sufficient information can be collected in time. Please see our call for data below, including the project description. Project: How does urban context influence functional traits across taxonomic groups? Open call for data and contributors! 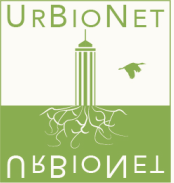 UrBioNet is a global network for urban biodiversity research and practice funded through the US National Science Foundation's Research Coordination Network (RCN) program (NSF RCN: DEB# 1354676/1355151). We are currently coordinating a collaborative research project focusing on the research question: Does the urban context (of a site) influence the functional traits of multiple taxonomic assemblages in consistent ways? To address this question, we are conducting a global analysis on a collection of spatially explicit datasets for amphibians, bats, bees, carabid beetles, butterflies, birds, mammals and plants, but may also include additional groups if sufficient information can be collected in time. We are currently looking for collaborators who are interested in working with us on this project, through the contribution of their datasets and taxonomic expertise. If you would like to find out more, please click on the "Project Description" button above. Timelines for this project are relatively short as we want to submit our collaborative multi-authored manuscript in early 2018. We'd love to hear from you!